The Wildcat is a rare beast here in the UK. Other than a few bikes imported towards the end of production most of the factory output went to the USA. 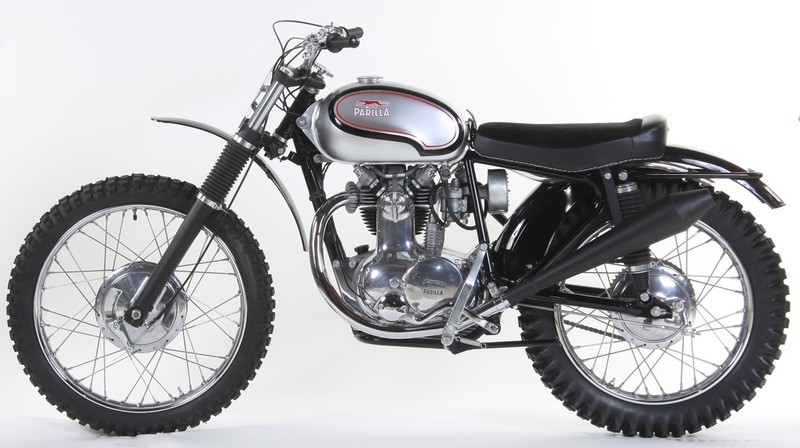 The US market was the reason for the model being made & its looks are certainly not that of a European “scrambler” of the early ’60s. Which of course made me want one! The following episodes are the story of two restorations “side by side”, one my bike & the other that of Craig McWilliam, the problems encountered will cover just about every aspect of the machines & is a pretty good guide of what to expect when getting involved in any “ground up” resto. Plus a few exciting surprises…. 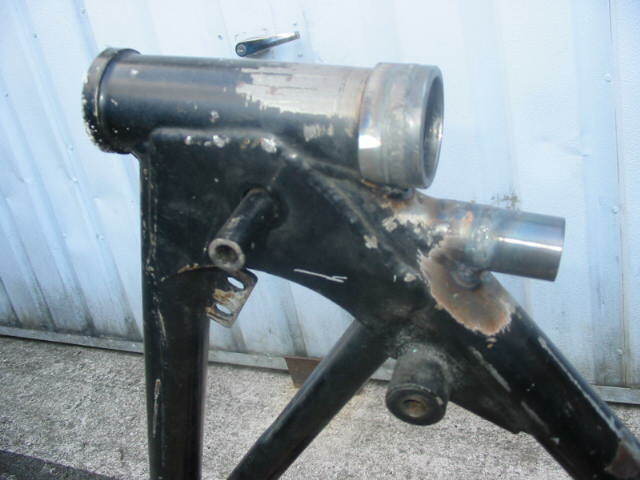 Craig’s frame looked somewhat different to mine and had a rather strange bottom steering head bearing cup – it appeared to be part of the frame! 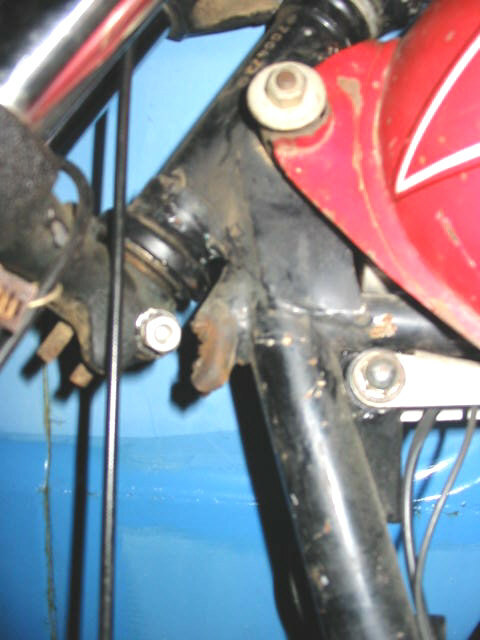 Once the old bearing cup had been removed the opportunity to repair the steering stop was taken. A small piece of the old tube was still there undamaged so the damage was trimmed away & instructions for the repair passed to my “frame man”. 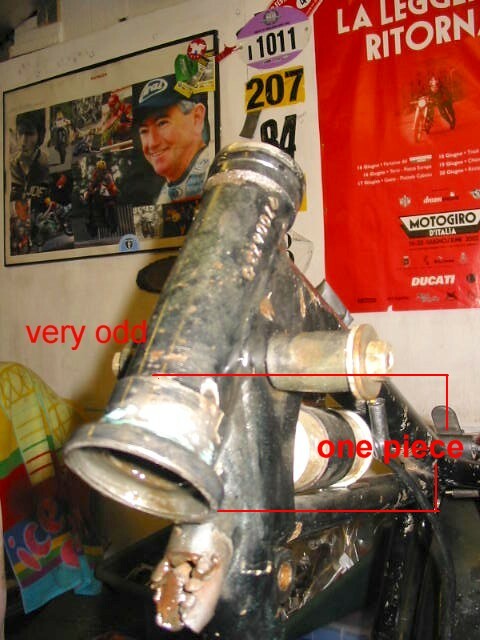 The steering stop was extended by an amount scaled from a picture of an original, undamaged, frame in the USA. 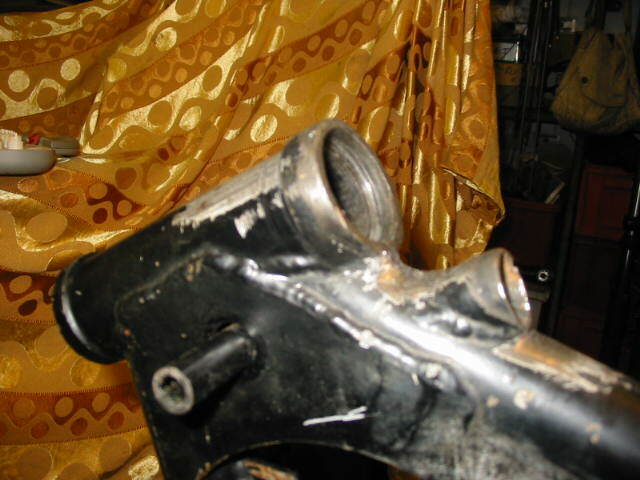 The holder for the bottom cup was extended to the point that a new bearing cup seated just clear of the reduced diameter section further up the steering head. 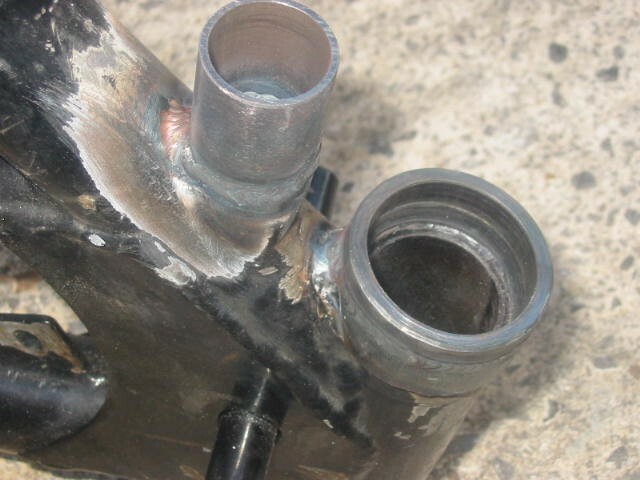 Repaired bearing mounting & steering stopAlong with the repairs to the steering head a couple of dings in the frame & oval engine mounting holes were brazed & welded up. Once all the work was finished the frame was powder coated & attention turned to the swinging arms. 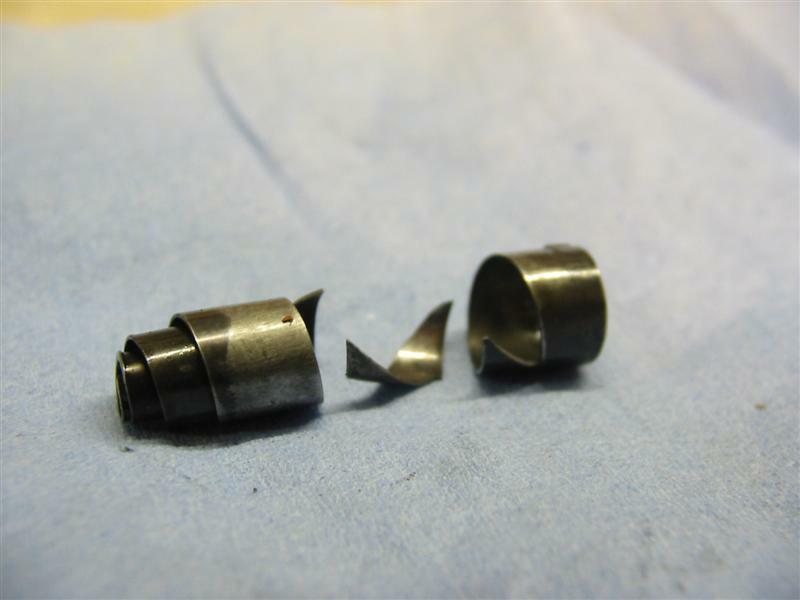 On both bikes the spindles were hard chromed & reground a few thousandths of an inch oversize to allow the existing, serviceable but worn, bushes to be reamed to suit. Once again the swinging arm was powder coated in gloss black to match the frame. The engine….. Both engines were intact but not in the best of condition. Craig’s engine, not so bad? This fault was recognised long ago by the factory but the cure never made it past the works racers as far as I know. 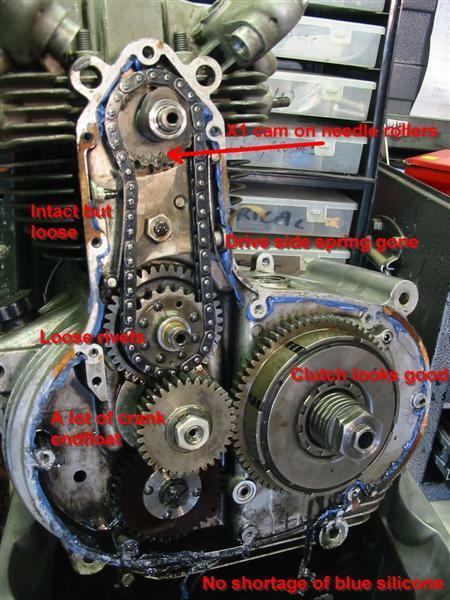 Well worth doing on any engine along with a change to a steel gear if the original is fibre – which some early 175s were.. 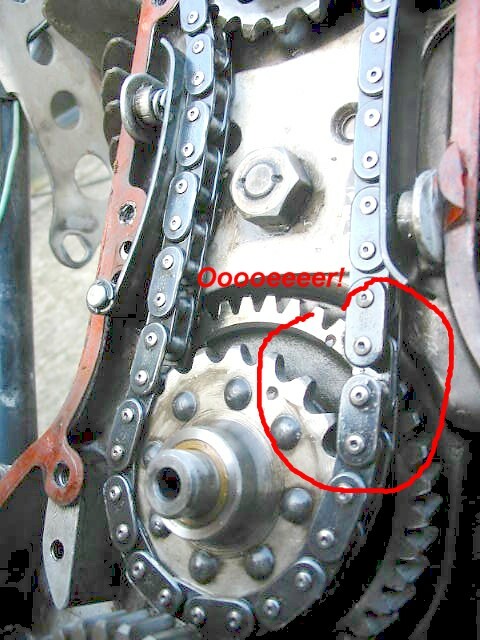 The missing linkThe cam chain was tensioned by only one spring, just as well as the cam chain was within a few turns of snapping due to one side plate having loosened & moved across to the other side. As well as the chain note the tensioner spring missing & a coil spring fitted instead of the OE type. 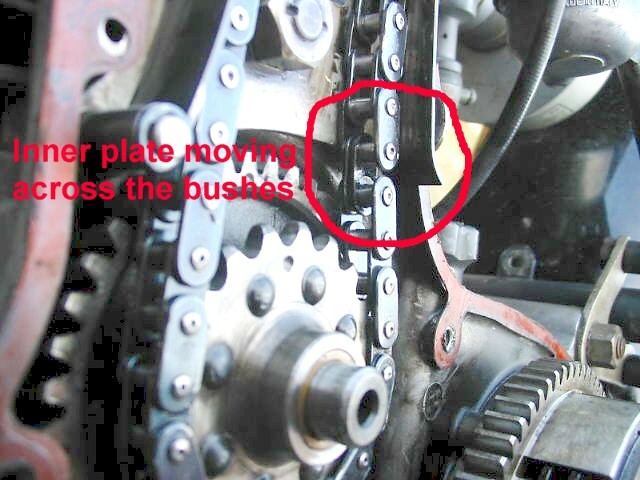 As seems usual with these engines the cam chain tensioner springs have disappeared into the bowels of the engine. In this case the originals have been replaced by coil springs one of which has also disappeared. It’s not a great design & is one I’ll be modifying when I get to that point in the rebuild. How the camchain tensioning springs usually end upWhen I got to splitting the cases I found one of the original springs. 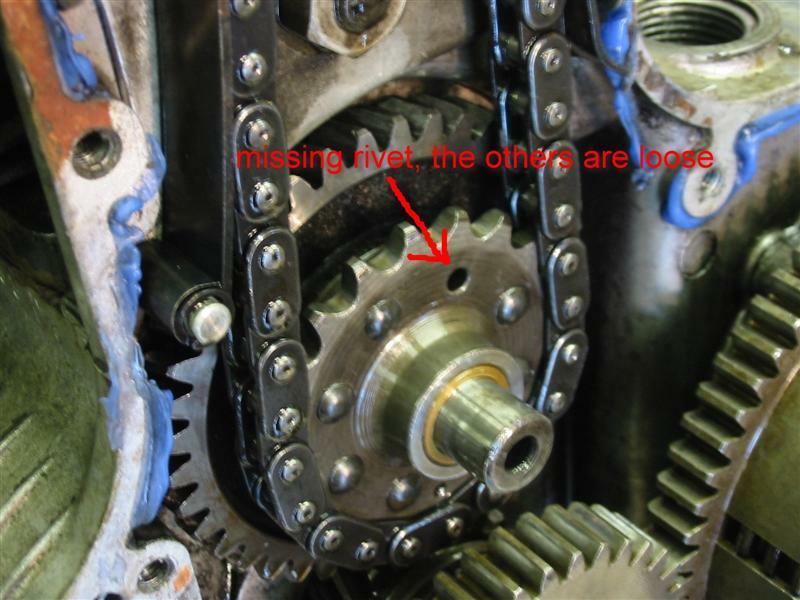 It had avoided the gear train & landed in the gloop at the bottom of the timing case. It’s the first I’ve found broken but “in one piece”. 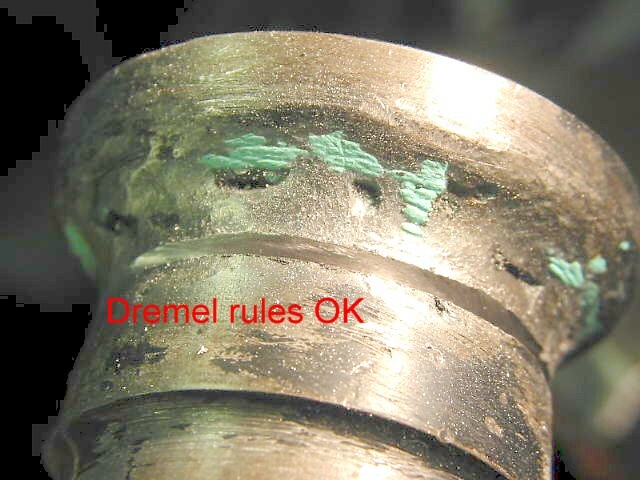 I wondered if they jumped out of the sockets as the tension altered under drive/overrun transitions but now it seems obvious that they fatigue & crack before dropping out of the holding cup.